To print out this page, use this PDF version. The Summer Slide is the learning loss that occurs when children do not engage in reading and writing activities over the summer. To avoid the Summer Slide, children should read and listen (and read and read and read!) over the summer. Don't forget to keep your children writing over the summer, too! Encourage your kids to draw pictures and write about their summer. Included are some ideas of how you can keep your children reading, listening, and writing this summer. They’re fun and easy! All children (babies -- grade 5) are welcome to participate! Just stop by the Kids’ Department to get a program log to get started. Kids of all ages will be eligible to win awesome grand prizes! Away for most or all the summer? No problem! Grab a log before you leave (or sign up online) and come claim your raffle tickets and other goodies when you return. Looking for reading suggestions? Check out this wonderful list that Kids’ Department librarian, Hannah, made just for you! Read or listen to nonfiction articles. ​Please see flyer that was sent home for ​login information. Read or listen to fiction and nonfiction titles. 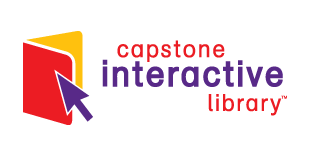 The entire Capstone Interactive library is free this summer. The ILA asks students every year to recommend and vote on their favorite reads. Epic! is offering discounted access for families during the summer. The child’s account will not be connected with his/her school account. A storytelling podcast for kids ages 3 to 10, tells carefully-selected folktales from around the world with an eye towards inclusivity. Stories are adapted for today's families into 10 to 20 minute diverse episodes. A free digital library of simple picture books that can be read and listened to in many different languages. Growing Young Writers provides tips, links, and more suggestions on ways to keep kids engaged with writing this summer. 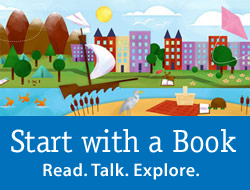 Sign up for Summer Reading Tips to Go and receive 3-4 text messages a week in English or Spanish with ideas to jumpstart reading, writing, and simple science activities for you and your child all summer long.